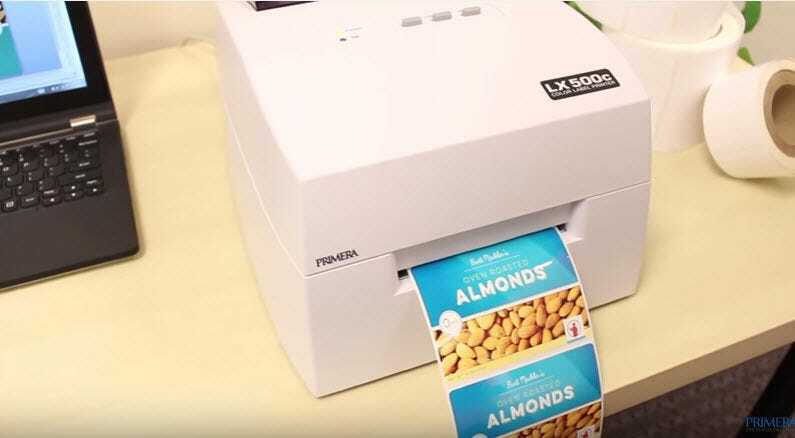 LX500 Color Label Printer | Label Printers & Digital Presses | Primera Technology, Inc.
Request more information by calling toll-free at 1-800-797-2772 or email [email protected]. The LX500 Color Label Printer prints full-color, photo-quality images and bar codes on highly water-resistant and scratch-resistant labels. Your labels can include full-color photos, illustrations, graphics, text and bar codes. Print them when and where you need them – in quantities you can really use! Best of all, depending upon the quantity you print, the price per label will be significantly less than labels printed on flexo or offset. From initial set-up to full operation, the LX500 is easy to use. Plus, everything you need to start printing labels is included in the box. Each LX500 ships with BarTender® UltraLite Primera Edition software, sample roll of high-gloss labels, ink cartridge and USB cable. You’ll be printing full-color labels within minutes of taking the printer out of the box. 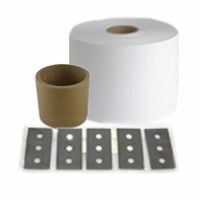 Need to make larger labels? The LX910 and LX2000 have nearly all the capabilities of our LX500, and can print labels up to 8.00" wide and 8.25" wide respectively. Media Sensing: Moveable see-through sensor for die-cut labels; Reflective for labels and tags with black stripe; Continuous label stock; Preprinted label stock. Supply Roll: 5" (127mm) maximum diameter on 2" (50.8mm) core. Core has additional restrictions - see manual. Label Design Software: BarTender UltraLite Primera Edition included for PC Only. 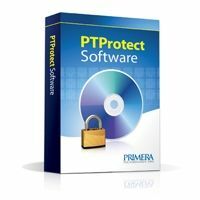 Can also be used with most other popular label design and graphics software programs. Options: Ink Cartridge, Tri-Color #53374 or #53376(slower speed). Included: Bartender Ultralite software for Windows, 4”X3” Tuffcoat™ High-Gloss Paper starter roll and starter tri-color cartridge. Distance from edge of media to edge of label: Printer driver assumes 2 mm gap. However, this is adjustable via the left margin offset. * The Reflective/Black Mark should be opaque to infrared light. The mark should be between the labels. The end of the mark should correspond with the beginning of the label. ** This is the recommended maximum. There are two factors that determine whether the printer will accept any particular stock thickness. 1. What are the prices of the printers? 2. How much are the ink cartridges? LX500/LX500c/RX500: the single cyan/magenta/yellow (CMY) cartridge is $54.95. LX910: the dye-based single, ultra-high capacity cyan/magenta/yellow (CMY) cartridge is $74.95, and the pigment-based single, ultra-high capacity CMY cartridge is $76.95. LX2000: Color cartridges are $28.95 each x3. Black is $54.95. You can save money by purchasing a multipack (one of each CMYK) for $135.00. 3. 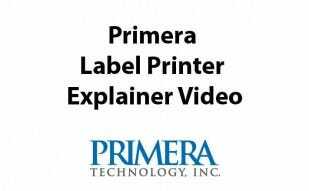 What are the main differences between the three label printers? Ink Cartridges: LX500 and RX500 utilize a single Cyan/Magenta/Yellow (CMY) ink cartridge that combines colors to make a process black. LX910 has a single, ultra-high capacity CMY ink cartridge for dye for vibrant prime labels, and one for pigment that possesses UV- and water-resistant qualities. LX2000 has separate ink cartridges in pigment ink only. You also save money on ink since only the tank that runs out of ink needs to be replaced. 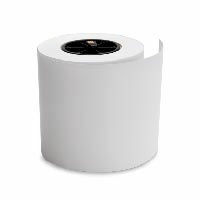 Label Rolls: LX500 and RX500 have a 2” core with label roll Outside Diameter (OD) of 5”. LX910 and LX2000 have a 3” core with an OD of 6”. 4. What is the average cost per label? LX500/LX500c: at 50% coverage on a 4” x 3” label at default print resolution, cost per label can range from $0.05 to $0.10. RX500: at 50% coverage on a 4” x 3” label at default print resolution, cost per label can range from $0.05 to $0.10. With the addition of a RFID inlay, the cost will vary. LX910: at 50% coverage on a 4” x 3” label at default print resolution, cost per label can range from $0.03 to $.07. 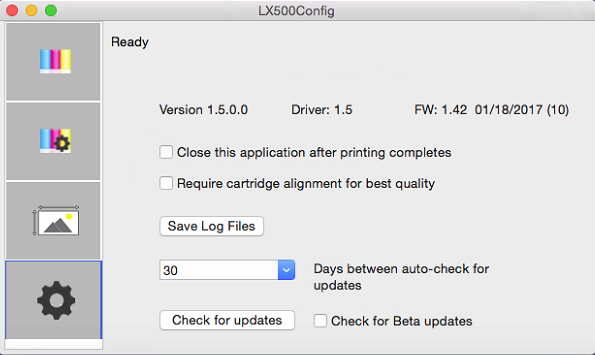 LX2000: at 50% coverage on a 4” x 3” label at default print resolution, cost per label can range from $0.01 to $.04. 5. 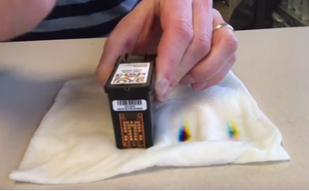 How many labels can you print per ink cartridge or set of ink carts? 6. Which printers offer a built-in label cutter. LX500c has a guillotine-style cutter built-in, while LX910 and LX2000 both offer a built-in “pizza-wheel” style label cutter. 7. What operating systems do these printers support? Regarding Windows XP and Vista, our printer drivers will still work on it. However, since Microsoft has ceased support for XP and Vista, we have no choice but to also no longer support XP and Vista. 8. What is the highest resolution each printer is capable of printing? All can print up to 4800 dpi. 9. Do the printers come with software to design my labels? Yes, it comes with a basic design program for Windows called BarTender UltraLite. It allows you to import graphics, logos, etc. and add things like bar codes. You can also design your labels in a full-featured design program, save them as high-resolution .jpg, .tiff, .bmp, .png or .pdf files and use our software to arrange them onto your label stock and print. Or, you can print directly out of your own graphic design software such Adobe Illustrator as long as that software allows you to change the page sizes to the sizes of your labels. For Mac, we don’t include software since most Mac users prefer to print directly from programs such as Adobe Illustrator or Photoshop. An easy to use software package we recommend for Mac is called BeLight. You can get a 30-day free trial on their website at www.belightsoft.com. It costs $49.99 if you decide to buy it. 10. Does any software come with the printers? Yes. Our printers come with Windows software called BarTender UltraLite. It’s an easy to use, very helpful tool that helps you to layout your designs onto the correct label sizes and then print them. For RX500, you must upgrade to BarTender Professional or higher for RFID functionality. 11. Does this printer do bar codes? Yes, for Windows users it comes with BarTender UltraLite software which includes just about every bar code font used in business and industry world-wide, including 2D bar codes. 12. Are the labels waterproof? We hesitate to use the word “waterproof,” but several of our label substrates, when printed onto by LX910 and LX2000 with pigment inks, are highly water-resistant. We do not recommend LX500/RX500 for labels that will be exposed to water. The black on LX500/RX500 is made by mixing cyan, magenta and yellow. That much ink saturation can smear when it gets wet no matter which label stock you use. It is important to match the right substrate for your particular application. This is especially true for water-resistance. 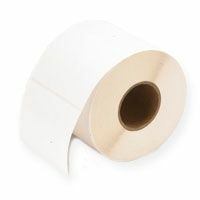 Before ordering a large quantity of blank labels you should try out some printed labels on your products in the environment in which they’ll be used. In general, we suggest a synthetic substrate for high-humidity or wet environments. Vinyl, BOPP and polyester label stocks are ideal. The most water-resistant substrate we sell is the clear and white polyester labels. However, they are also the most expensive. 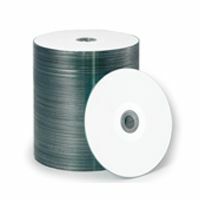 Vinyl and BOPP are great alternatives but again should be tested before ordering a large quantity of blank labels. Vinyl is also ideal for very small or irregularly-shaped containers since it is very soft and conformable. For applications where water isn’t a concern, our TuffCoat Gloss White paper labels perform exceptionally well and are affordable, too. For those who need a GHS compliant label solution, LX2000 is the perfect choice. With pigment ink and Primera’s Tuffcoat Extreme PolyJet material, LX2000 has already passed Section 3, BS5609 testing. The testing included removal of print by adhesive tape, abrasion resistance and permanence of print evaluations under extreme conditions, including exposure to UV light and repeated salt spray and immersion. The material and printed images from LX2000 passed in all three categories. 13. How long will my images last? All inks, whether dye or pigment, will begin to fade over time. Dye ink generally is recommended for indoor use on products that will be consumed in less than a year. If exposed daily to direct sunlight or bright indoor lights, dye inks can start to fade in a number of months. Dye inks deliver the best range of bright, vibrant colors so they are usually preferred over pigment ink for products that go onto food, wine and other consumable products. Pigment ink has superior UV resistance. Primera’s pigment inks have been tested outdoors for more than a year with little noticeable fading. Pigment ink is usually selected if many years indoor or up to two years outdoor life is required with little fading. Labels printed with pigment ink will be slightly less vibrant, so are usually selected for more industrial-types of projects such as GHS labels, tags, photo ID badges, bin labels and much more. 14. Do I have to buy my labels and ink from you? No, you are free to purchase them from anyone you choose. Labels just need to be coated for aqueous inkjet printing. For non-Primera labels, you’ll see varying levels of water-resistance, gloss and other characteristics. Remember to always test first! Our ink carts are designed specifically for our printers. So, you won’t generally find them at brick-and-mortar retail stores. However, thousands of online resellers have them in stock, as does Primera’s e-commerce site www.primera.com. 15. Are your ink cartridges refillable? No, they are not. They are designed and manufactured for one-time-only use. 16. Are any of your printers wireless? Yes, the LX2000 can be connected via USB 2.0 or through Ethernet or built-in wireless. 17. Do you offer any financing? Yes! We have a relationship with PayPal where our products now qualify for their “Bill Me Later” program. It works like this: we write up a proforma invoice for your purchase. You submit it to PayPal for approval. Once approved, you can purchase the equipment from us and get 6 months of interest-free financing. The down-payment amount and monthly payment amount is figured out between you and PayPal. You’ll need to either already have or open a new PayPal account to use this financing. LX500 Color Label Printers include one dye-based color ink cartridge, BarTender UltraLite Primera Edition software, printer drivers for Windows 7/8/10+ and Mac OS X 10.6 or higher, starter roll of 4" x 3" Tuff-Coat High-Gloss Inkjet Label Stock, USB 2.0 cable and instructions. Requires an available USB 2.0 port. To get started with Belight Labels and Addresses choose either a predefined Primera label size or create a custom size in the setup wizard. If you choose Custom, be sure to set your label size and your page size the same, set columns and rows to "1" and set your margins to zero. Disconnect USB and power on the printer before installing. 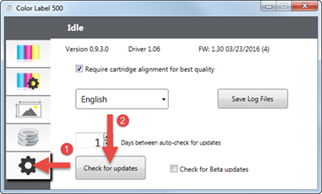 You may also update software, firmware and driver using the Status Monitor / Configuration Utility. 1. Click the settings (gear icon) tab. 2. Click Check for Updates. Tip! 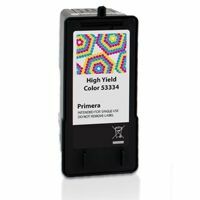 Are your cartridges drying out or is the printer printing with missing colors/poor quality? Click here for instructions on cleaning your cartridge. Your products includes a one year warranty. If your product needs repair Primera’s depot repair facility in the USA will be happy to repair it. If your product is Out of Warranty we can repair it on a flat fee basis. How do I send my unit in for repair? How much is it? Where do I send it? • Ships with dye ink. Pigment ink may be purchased separately.